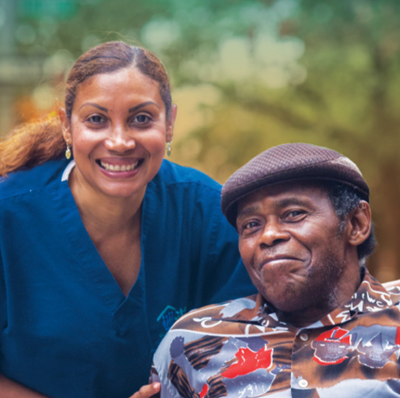 In 2013, PHI piloted and implemented a multi-year training and employment initiative for home health aides who collectively served thousands of older adults residing throughout New York City. The Home Care Aide Workforce Initiative (HAWI) aimed to improve the skills, job satisfaction, and retention of entry-level home health aides as a means for improving the quality of home care for their clients. The initiative was implemented at three New York City home care agencies—Best Choice Home Health Care, Home Assistance Personnel, Inc., and Selfhelp Community Services—with lead funding from the Harry and Jeanette Weinberg Foundation. The initiative was a resounding success. An independent evaluation found that 91 percent of the more than 500 home health aides who graduated from the HAWI training program were “very satisfied” (62 percent) or “satisfied” (29 percent) with their jobs, signaling that HAWI successfully set work expectations with aides. Additionally, retention rates at three months and six months were higher among participating aides than among non-HAWI trained aides. HAWI demonstrates that proper training and job satisfaction are essential factors for retaining home care workers. HAWI continues to inform PHI’s training and curriculum design for partners around the country.